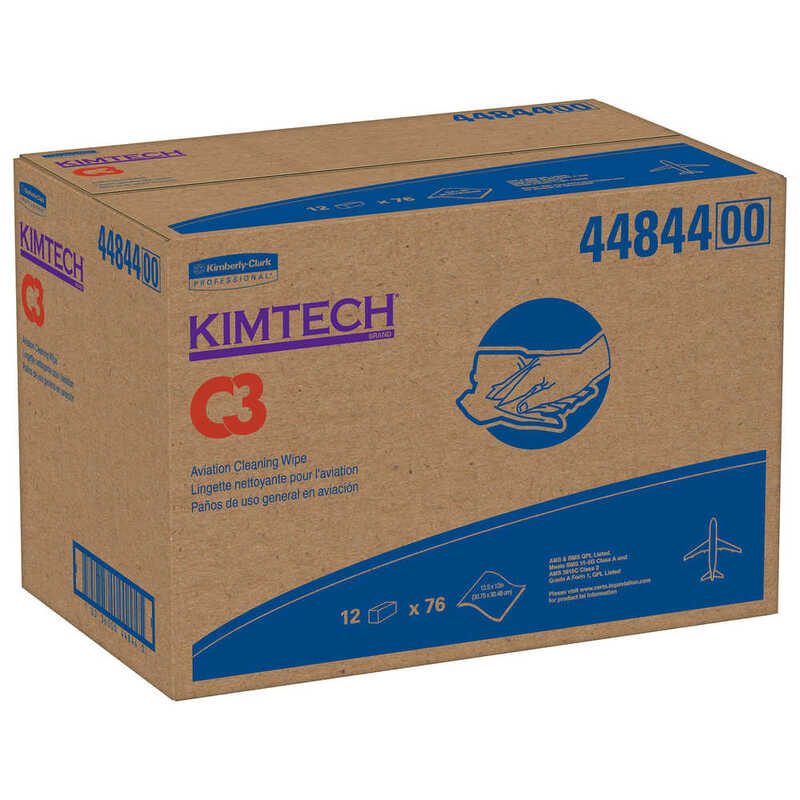 Kimtech C3 Aviation Cleaning Wipes feature leading-edge materials solvent wiping, designed to be an easy-to-adopt lean cleaning solution to address productivity improvement and waste reduction. Made of Hydroknit (cellulose and polypropylene), they are compatible with most solvents used in aviation (such as MEK, TCE, Acetone, MPK, Isopropanol, etc…). They’re specially engineered to perform in all areas of Original Equipment Manufacturing (OEM) and Maintenance Repair Operations (MRO), including paint surface prep, engine maintenance and general-purpose cleaning. 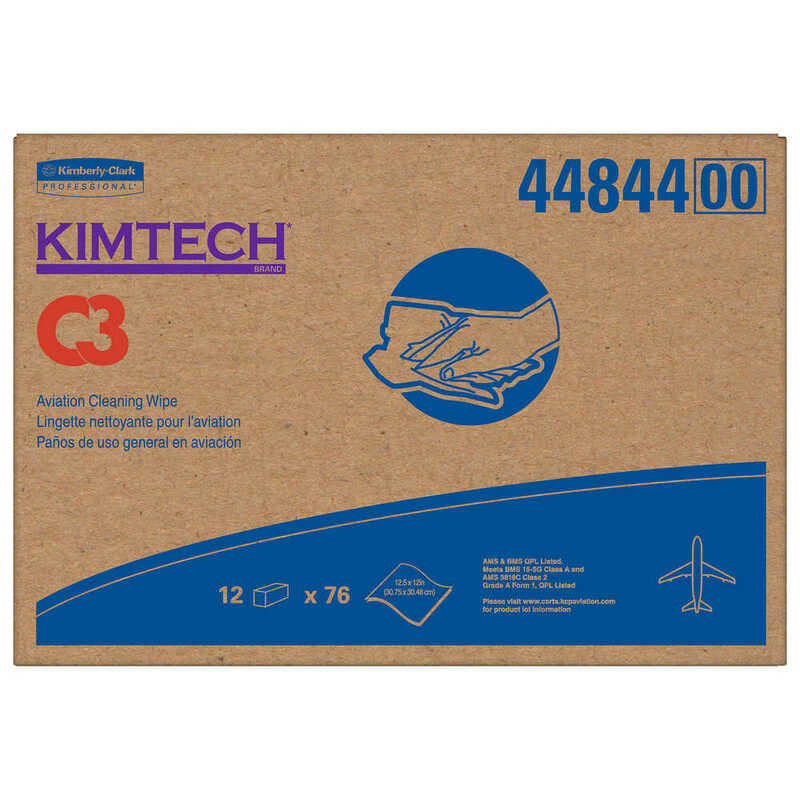 All Kimtech Aviation Wipes are qualified and listed on PRE-QPL-AMS 3819C (Aerospace Materials Specifications) and meet the requirements of BMS 15-5G (Boeing Material Specifications). They are the ultimate in aviation precision wiping performance. You can trust the Kimtech Brand for new wiping solutions designed to meet aviation industry needs.